""Cook delicious meals for the family with the Panasonic NNCT585S large capacity Combination Microwave. 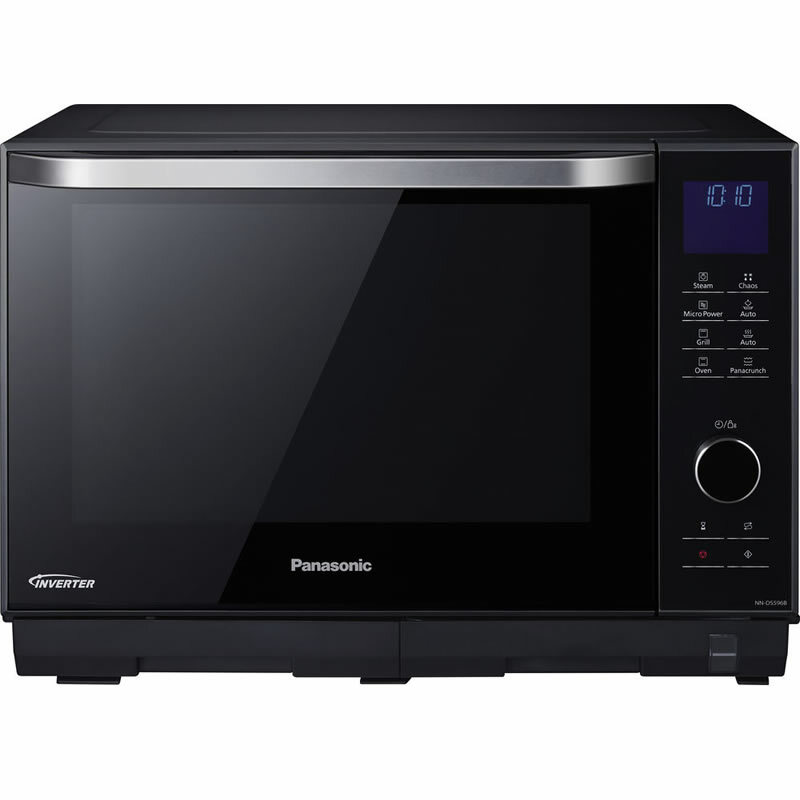 It comprises of 3 cooking processes which are microwave, grill and convection oven, which can be used in dual combination, so it gives you versatile cooking in one compact package. With a 27 litre usable capacity and versatile auto cook programmes, it lets you prepare any meal quickly and easily. Using the control panel you can select programmes such as fresh vegetables. There is also multiple options for reheating and defrosting depending on the type of food you are cooking. "" 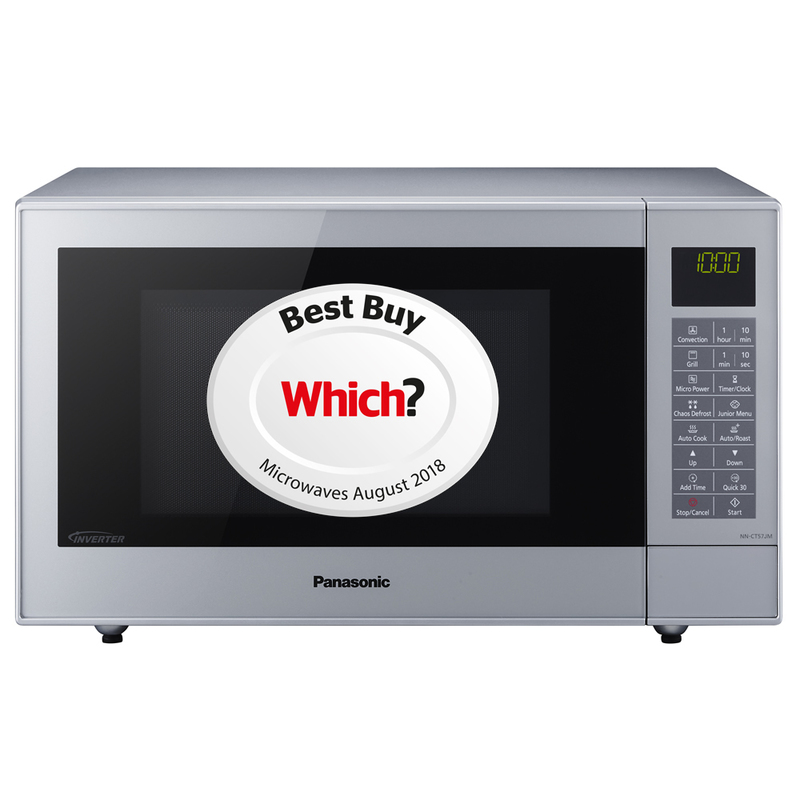 ""By completely re-designing the mechanics of the microwave, Panasonic have reduced the depth of the oven by 20%. Putting the fan system in the roof of the oven rather than at its rear has dramatically reduced the depth of the oven. 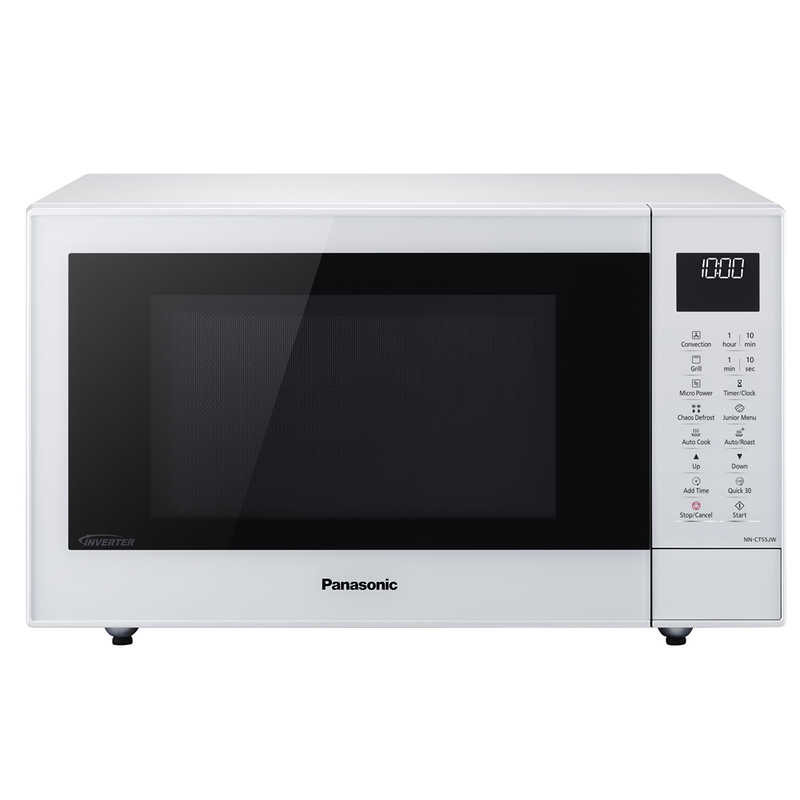 This means that you can enjoy the advantage of microwave, grill and convection heating/cooking in smaller kitchens.More importantly, this has been achieved without reducing the cooking space inside the oven. "" 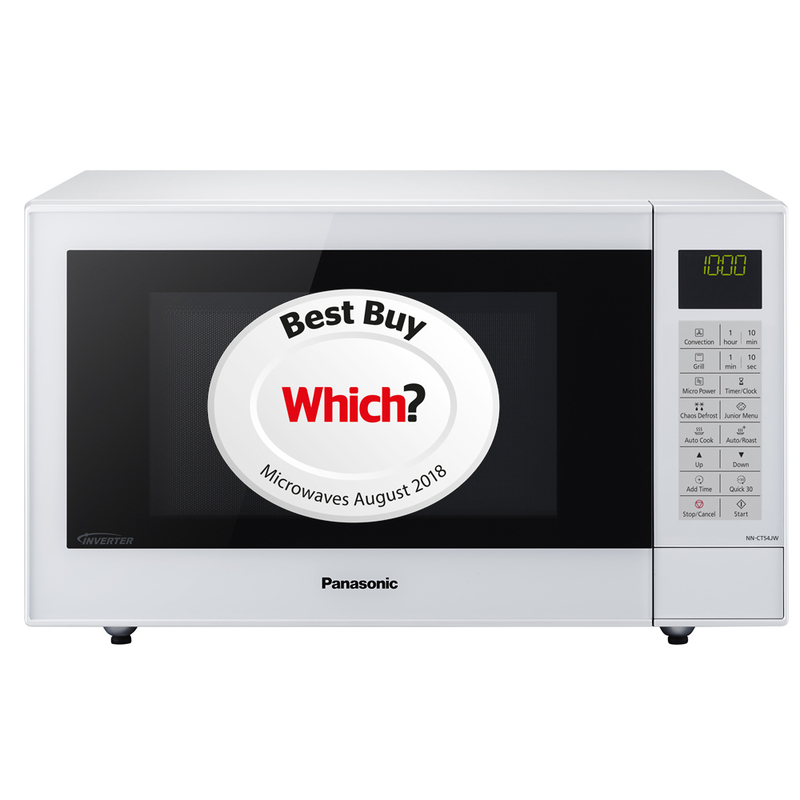 ""The superb NN-CT552WBPQ is a microwave Combination Oven boasting 1000W of Inverter Microwave technology.This technology allows the NNCT552WBPQ to be a slimmer microwave which saves on worktop space but it also still retains a large 27 litre capacity.It has a stainless steel lining and also a 1300w Quartz grill and convection oven. "" ""Flatbed Technology gives 30% more useable cooking space large enough to take family size casserole dish of 23 x 35cm perfect for cooking Sunday roast. 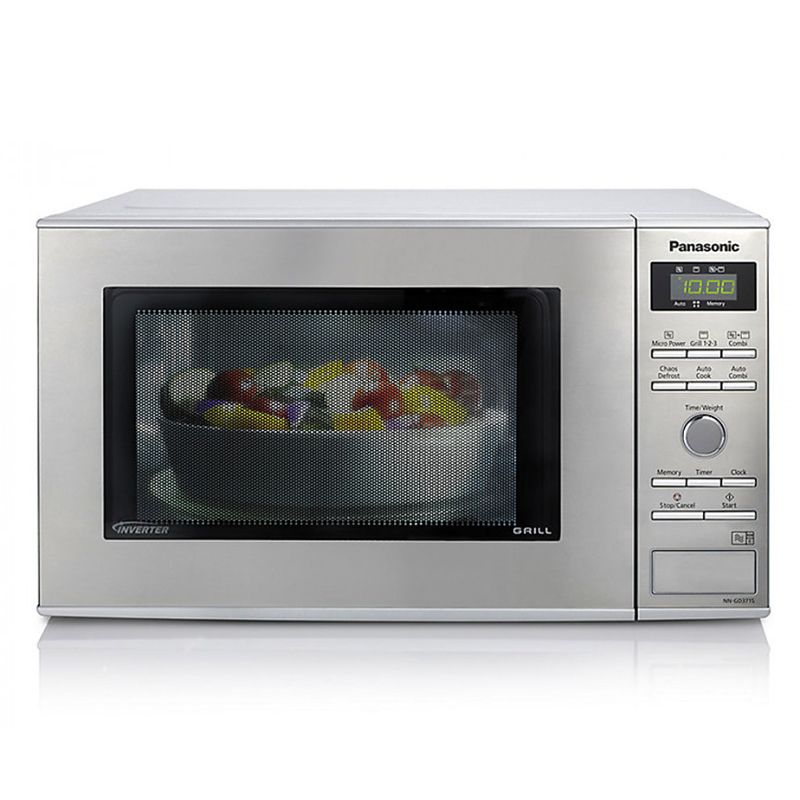 Built in Sensor allows a variety of food may be cooked without having to enter the cooking time, weight or the power level. 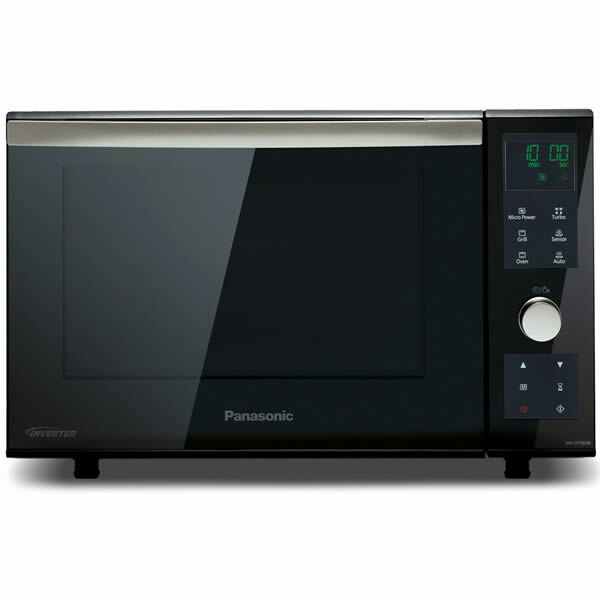 Takes the guesswork out of cooking ""
""Experience fresh gourmet meals with minimal effort, thanks to the Panasonic Steam Combination Oven. The oven boasts Turbo Steam, a healthy way to cook food while preserving vitamins, and Panacrunch which evenly cooks food to perfection, making it perfect for low-fat grilling. Cooking fresh and healthy food has never been so simple. "" 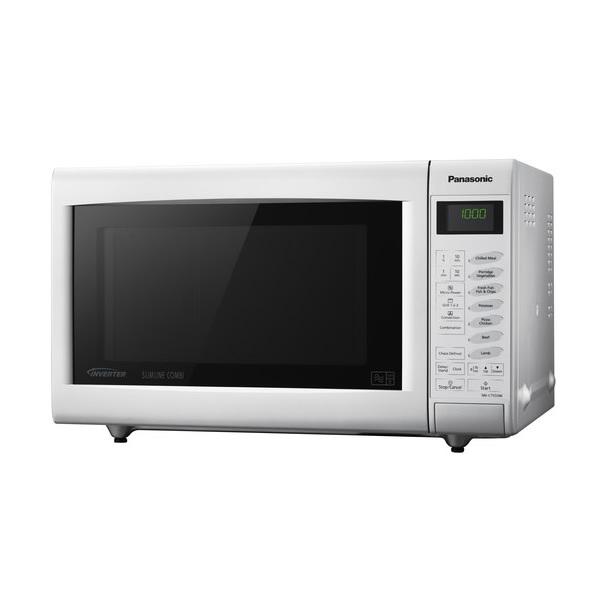 ""Discover the joy of fresh and healthy cooking with Panasonic Microwave Inverter Technology. 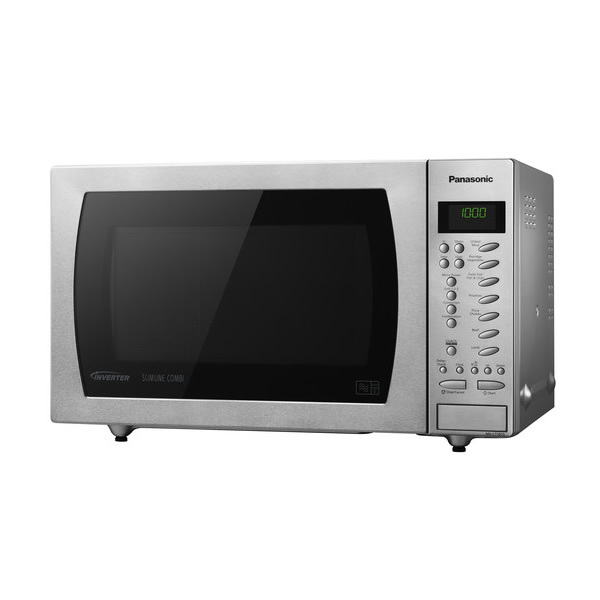 Thanks to its precise power control, dishes are evenly cooked and are ready in no time. The intelligent internal design reduces the overall footprint by approx 20% compared to conventional combination ovens, leaving you with more space available on your kitchen worktop. By moving the fan from the back of the oven to the top, the interior space has been increased providing you with a spacious 34cm turntable. This gives you more flexiblity to use larger dishes and plates. The convenient pre-programmed Junior Menu ensures that even picky eaters enjoy healthy delights. Just enter the weight of the food and the oven does the rest. Pre-programmes for children include puréed fruits/veg, pasta bake, vegetable fries and more! ""